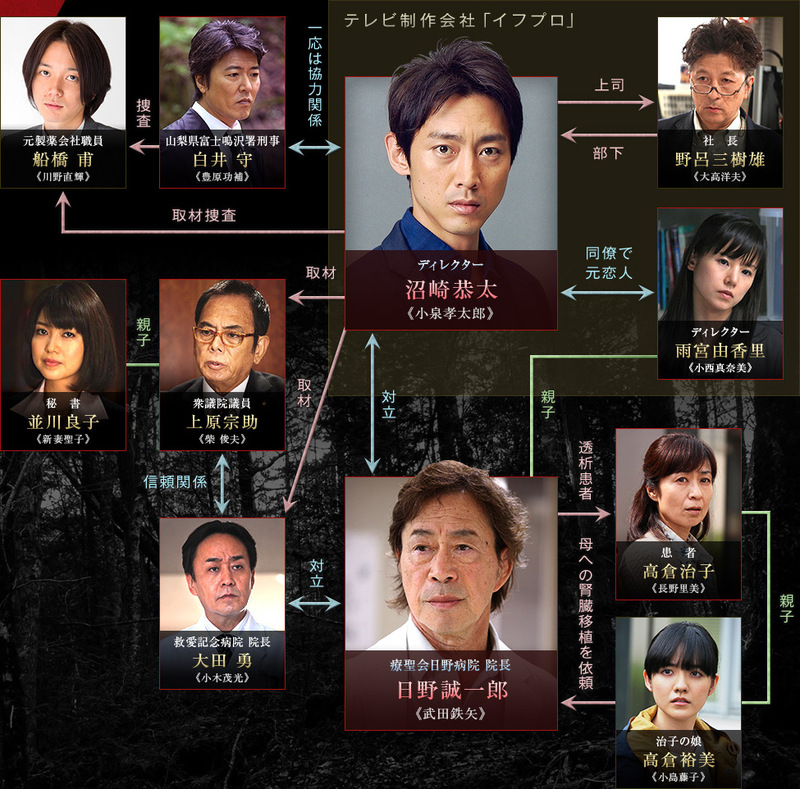 Numazaki Kyota, a director of a company which produces TV programs, discovers a dead female body. A forensic autopsy determines that she froze to death. However, it also turns out that one of her kidneys has been removed. On the other hand, a patient at Hino Hospital has been receiving dialysis. Her body is approaching its limits and her daughter beseeches the attending physician, Hino Seiichiro, to transplant her own kidney to her mother. But Hino adamantly refuses. Meanwhile, an injured man and woman are taken to a hospital. The hospital director, Ota Isamu, notices that a kidney transplant had been done between them from their respective surgery scars. Then he learns that the kidney was purchased with money and notifies the police. 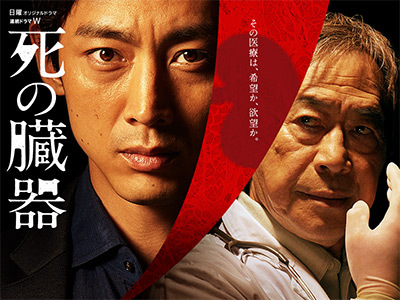 Hino, who was the surgeon, is asked by the police to come voluntarily for questioning. This news spurs Numazaki to make the decision to go on gathering materials on the connection between the dead body that he found and the organ trade. He soon starts to get close to the darkness in medical treatment. Nice short drama about a dead body found in the forest that leads to a black market organ donor/transplant ring. Well written, good job by all the actors but no one really jumped out at me so didn't rate it higher.